This post is sponsored on behalf of the American Dairy Association Mideast. All opinions are, as always, my own. One of my favorite parts of being a parent is getting the chance to start our own family traditions – most of which revolve around food. Take our movie nights, for example. Many Friday nights we like to kick back and relax together after a busy week. We are a movie loving family who are also huge Disney nerds which means most of our movie nights feature animated favorites, both new and old alike. We can’t have a family movie night without snacks. Snacks are important. And, now that summer is just about here (guys, it was 96 degrees here last weekend – I wish I were joking) we are moving into summer-themed refreshments. Back when the kids were really little, we made impromptu milkshakes for our movie night, and well, that’s all it took. Now every time we watch a movie they ask if we’re having milkshakes. This is not a family tradition that took a lot to get started. Who doesn’t love a milkshake? While they always ask for milkshakes, when it’s the middle of January, I steer them toward a more winter appropriate refreshment like hot chocolate. 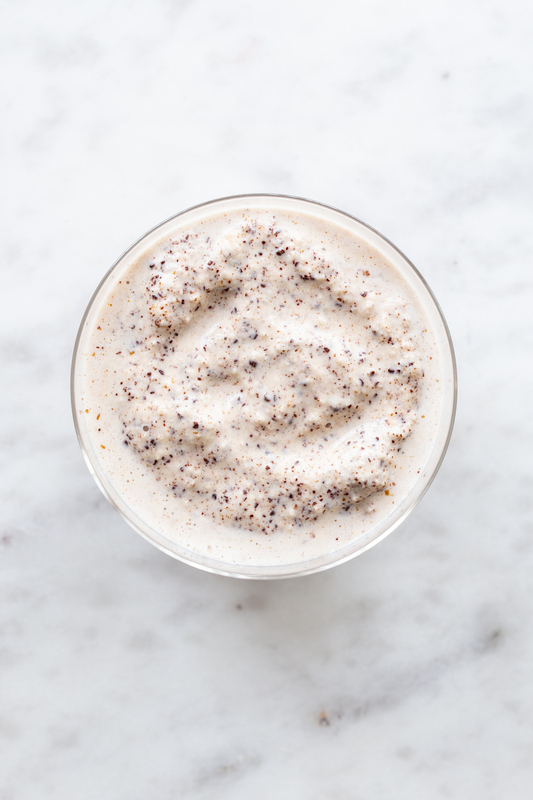 But now that June is here – it’s all about ice cream and milkshakes! In fact, did you know that June is National Dairy Month and the month when the most ice cream is produced? Being a life-long Ohioan, I am proud to tell you that Ohio is the ice cream capital of the Unite States! Can you believe it? If you’ve seen how my family can put down some sundaes, you may believe it after all. With years of milkshake making experience under my belt, I have figured out the perfect ratio of milk to ice cream to add ins for the ultimate milkshake. Creamy, drinkable, not too thick, not too thin – just perfect! 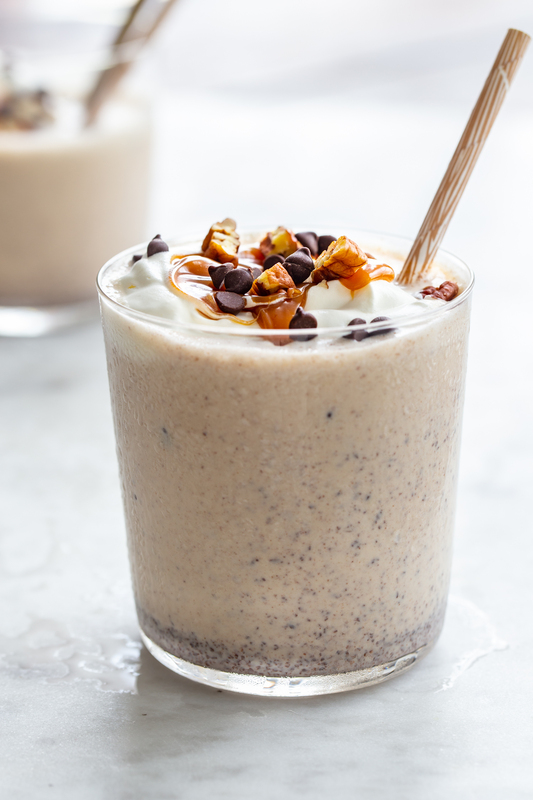 If you want a slightly thicker milkshake, add a touch more ice cream, if you want it thinner, add a bit more milk. Do not add ice or you will regret it. 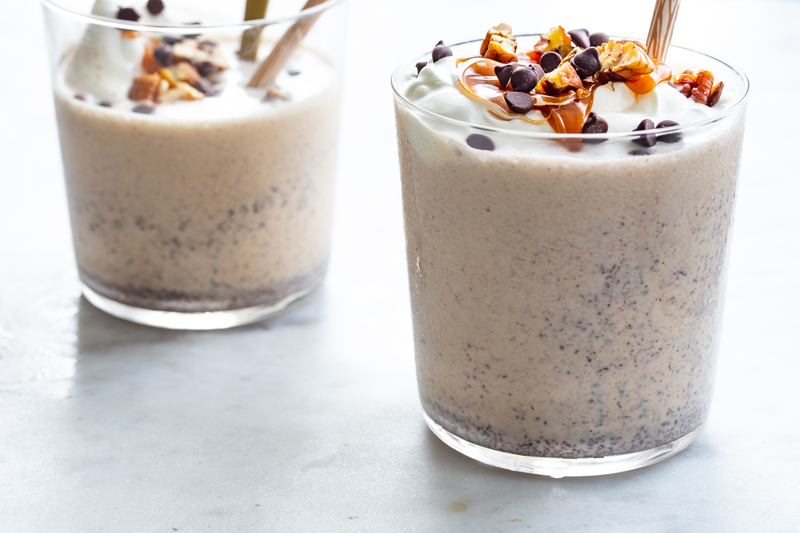 It waters down the milkshake in both texture and flavor. Neither of which you want. 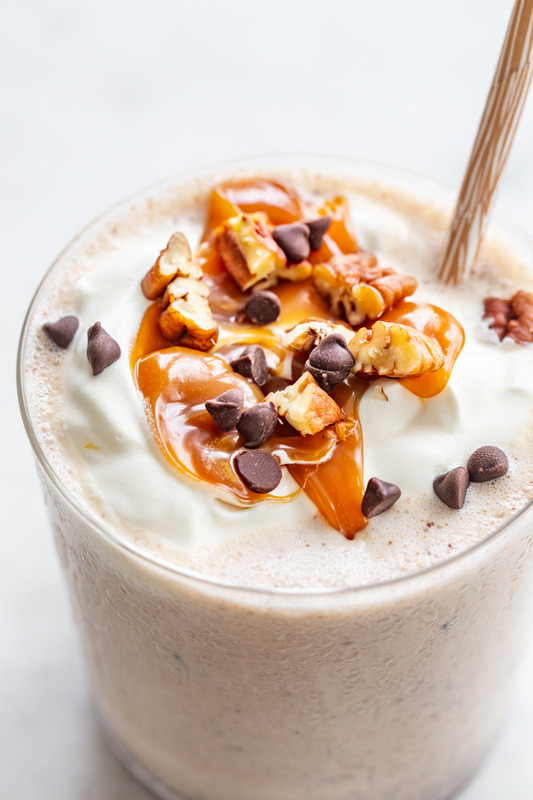 This is one of my favorite combinations: The Turtle Milkshake. 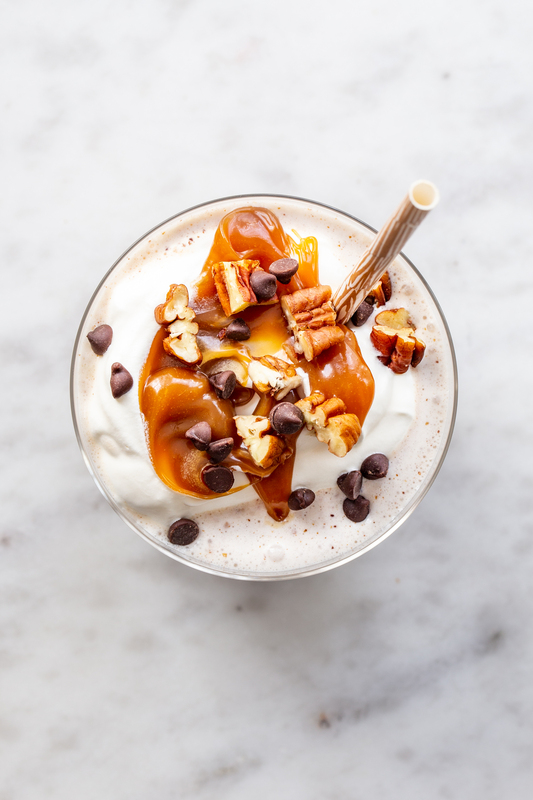 This features classic, creamy vanilla ice cream, cold milk, pecans, chocolate chips, and a few tablespoons of creamy caramel sauce. You can use homemade or your favorite store-bought. 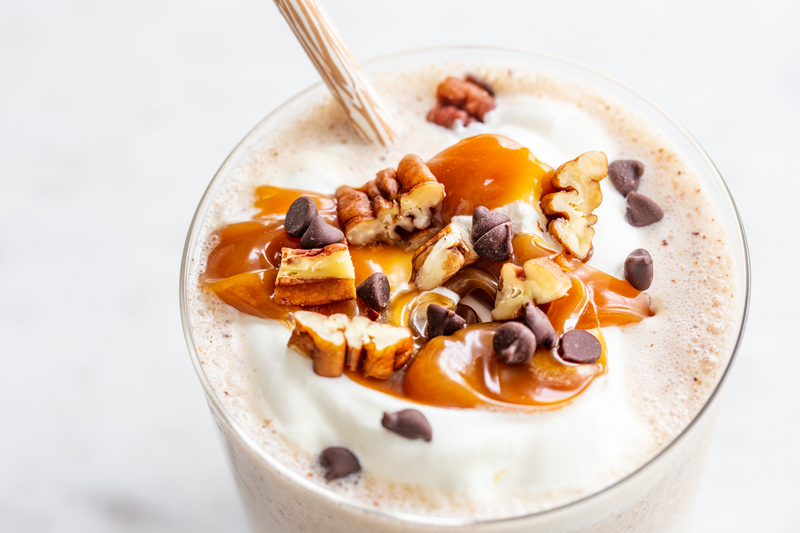 My kids LOVE this turtle milkshake – especially when you top it with all the extras and make it look super fancy. They like feeling fancy. Who doesn’t? As I mentioned, June is National Dairy Month! It’s a time to celebrate America’s dairy farmers, who provide us with healthy dairy foods. Meet Ohio and West Virginia dairy farming families at Drink-Milk.com. Having grandparents who grew up on farms, I have a special place in my heart for all of the amazing, hardworking dairy farmers. Did you know that in Ohio and West Virginia, dairy farm families raise more than 274,000 dairy cows on about 2,500 dairy farms? In an average year, Ohio and West Virginia dairy cows produce approximately 5.6 billion pounds, or about 656 million gallons, of milk. That is a serious amount of milk! Our household accounts for just about half of that….kidding! Well, sort of. 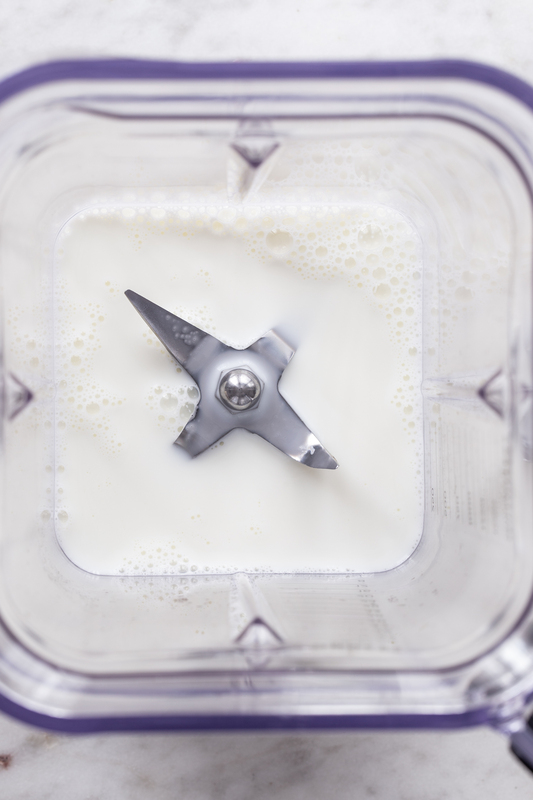 One serving of milk, cheese or yogurt provides a powerful package of 9 essential nutrients. Milk is the single greatest source of 3 of the 4 nutrients the Dietary Guidelines identified as lacking in the American diet: Calcium, vitamin D and potassium. Experts recommend 3 servings of low fat or fat-free dairy foods every day, yet most of us need to add 1 daily serving of nutrient-rich dairy to help meet recommendations. June is National Dairy Month and the month when most ice-cream is produced. It takes about 12 pounds of milk to make one pound of ice cream. Jersey dairy cows produce milk that’s perfect for making ice cream! Their milk has higher percentages of protein and butterfat. About 9% of all the milk produced by U.S. dairy farmers is used to produce ice cream. One cone of ice cream can be finished off in 50 licks. Say what? 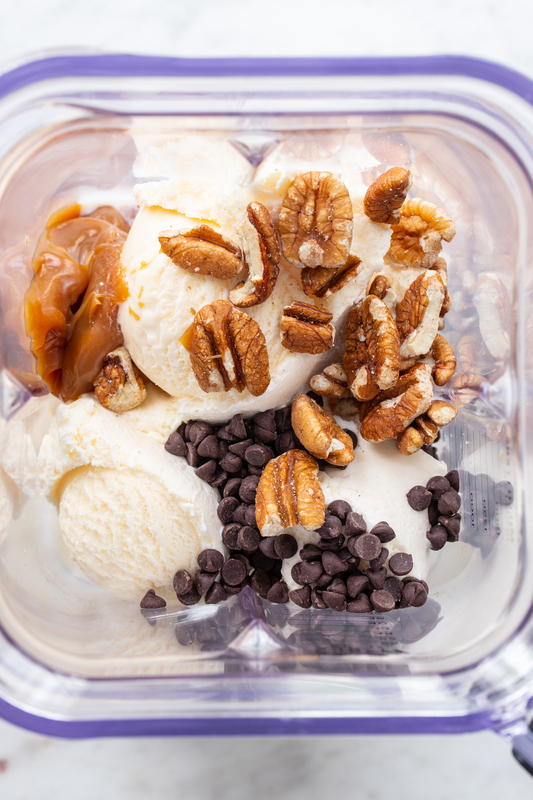 The average American eats about 20 quarts of ice cream a year! For more fun dairy facts and recipes, follow the American Dairy Association Mideast on Facebook, Twitter, Instagram and Pinterest. 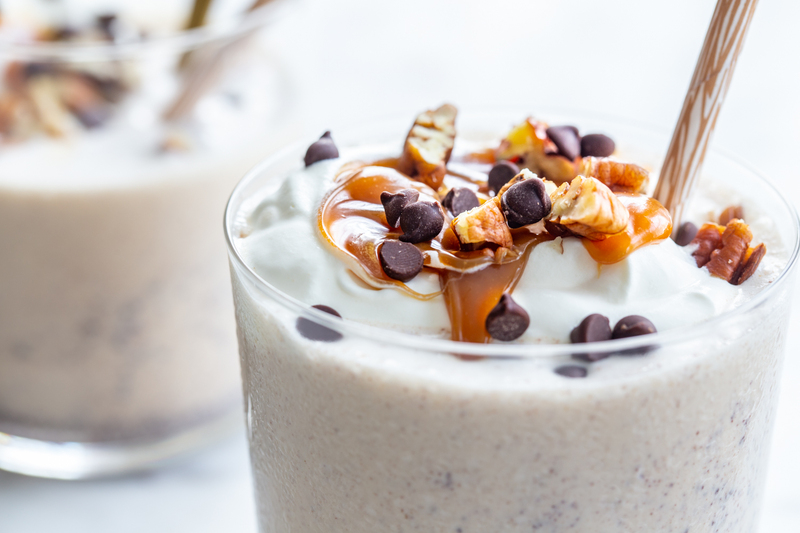 Place milk, ice cream, pecans, chocolate chips, and caramel sauce into a blender. Blend for about 60 seconds or until ingredients are fully incorporated. 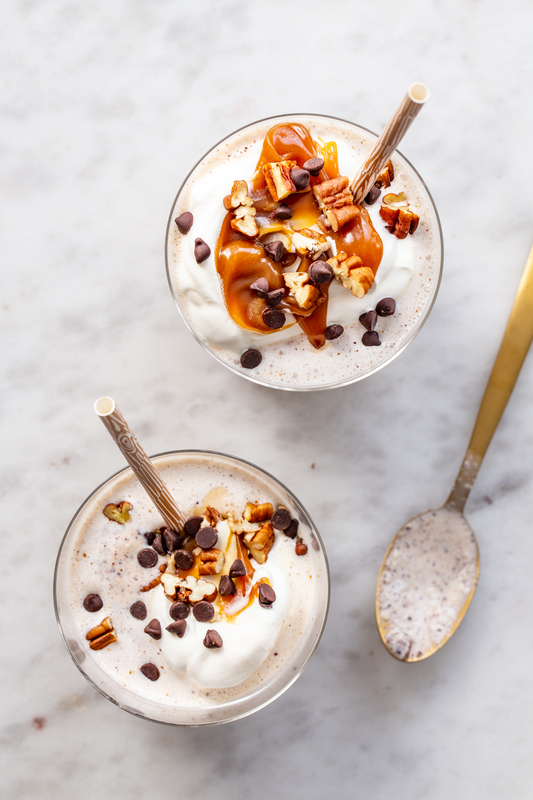 Divide milkshakes between two glasses and top with whipped cream and additional pecans, chocolate chips, and caramel sauce if desired.